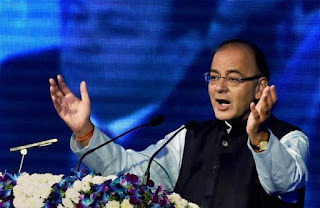 Arun Jaitley (Finance minister) has invited businesses in New South Wales to invest in India by saying the country wants foreign sovereign wealth funds to be part of NIIF, pension and insurance funds in India. Mr Jaitley also highlighted various initiatives and reforms measures undertaken by the govt to boost the economy which is growing at a rate of above 7.5 %. Jaitley said india needs foreign direct investment (FDI), especially in manufacturing and infrastructure sectors, he said state governments are taking keen interest and competing among themselves to attract foreign investments. Baird has showed his keen interest in investment opportunities in india particularly in the infrastructure sector. He highlighted the importance of communicating the information to larger business community in Australia to enable them to understand the opportunities available in India. Baird also informed the finance minister that he intends to visit India during the next 'Vibrant Gujarat' summit in January-2017.